The status certificate is an important document, that must be obtained to close any condo purchase. As per the Ontario Condo Act, the status certificate provides current information on the condo declaration, by-laws, budget, reserve fund, insurance, management conduct, rules, minutes of the last general meeting, mention of any lawsuit involving the corporation, and any arrears or lien that a particular unit might have. The purpose of the status certificate is to allow a potential condo purchaser to have as much information as possible about their suite, as well as the fiscal and physical situation of the building. Status certificates allow a potential owner to find out all of the rules of a particular building, including whether pets are permitted, or if there are any pet restrictions. The status certificate is ultimately the board’s responsibilty, even though it’s prepared by the property management company. Many board members are unaware of this, and should have the president check its contents at least once a year, when the fiscal structure of the condo has changed or about to change. As soon as a board becomes aware of a forthcoming steep increase in the condo’s maintenance fees, a special assessment will be levied, or a large expenditure will substantially lower the reserve fund, this information must be included in the status certificate. If a property managment company fails to include this information, the board is ultimately responsible for this error. It’s very unlikely that the board and the property manager would not be aware of a special assessment, but if this did happen the new owner would not have to pay the special assessment. Instead the amount of the special assessement would be added to the total sum levied, and will be paid fractionally by all of the other owners. If the owner has already paid the special assessment, he or she can go to Small Claims Court to get the money back. It is important that all prospective condo buyers have their real estate lawyers carefully inspect the status certificate. A clause should be added to any offer to purchase, that it’s conditional on the acceptable review of the status certificate by the buyer’s lawyer. The vendor (or seller) usually provides the status certificate after acceptance of the offer. It can be purchased beforehand though. The status certificate costs $100, and the property manager has to produce it within 10 business days of its request. 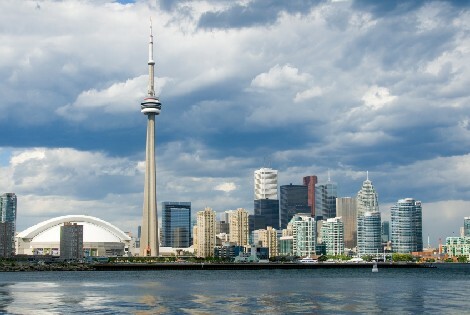 >>Click here to contact me if you require a referral for a Toronto real estate lawyer. Source: Condo Information Centre – Anne-Marie Ambert, Ph.D.